Must see this custom re-built single wide manufactured home! Perfect option for someone looking to enjoy .75 acres along the edge of San Marcos/Martindale area, making the commute in either direction a breeze. Once you step inside, you’ll notice a cozy cabin feel with custom built cabinets and woodwork throughout. Second room was converted to a multi-use room and was most recently used as an indoor laundry and office space. Many updates over the years include: siding, windows, insulation, flooring, appliances, smoke detectors, light fixtures, electric fireplace, plumbing and more! An oversized shop (with over 700+ additional sf), decked with plenty of shelving and space to store, build or convert into a additional living quarters already has a (three piece) bathroom, separate water heater and heating-cooling unit. RV hook-ups on site and plenty of green space to add a garden or leave in its natural state. Please, send me more information on this property: MLS# 363776 – $119,900 – 127 Holt, San Marcos, TX 78666. 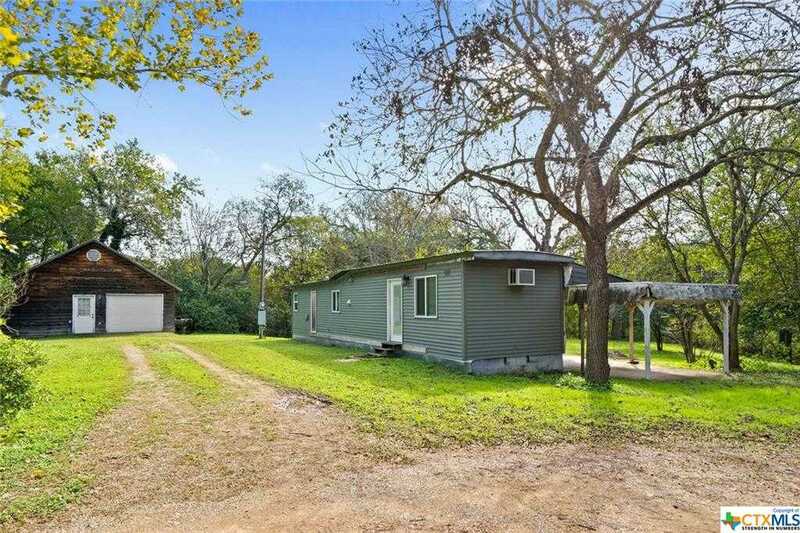 I would like to schedule a showing appointment for this property: MLS# 363776 – $119,900 – 127 Holt, San Marcos, TX 78666.